Limited opportunity for continuous supply. 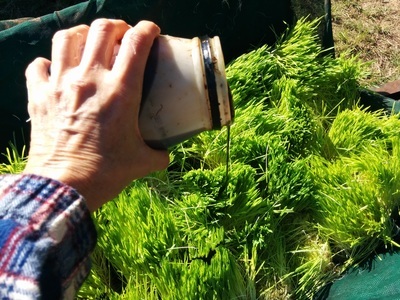 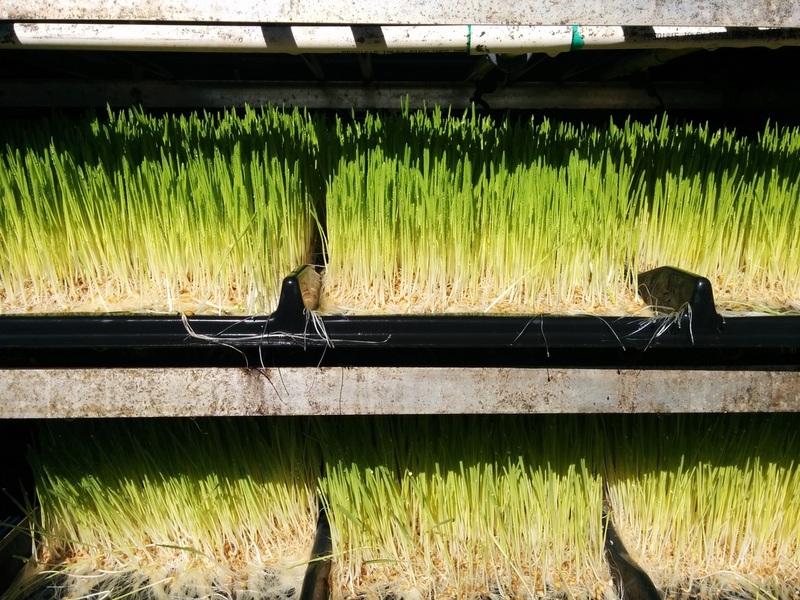 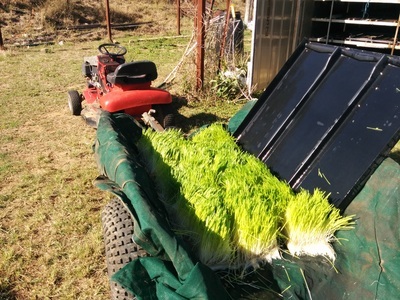 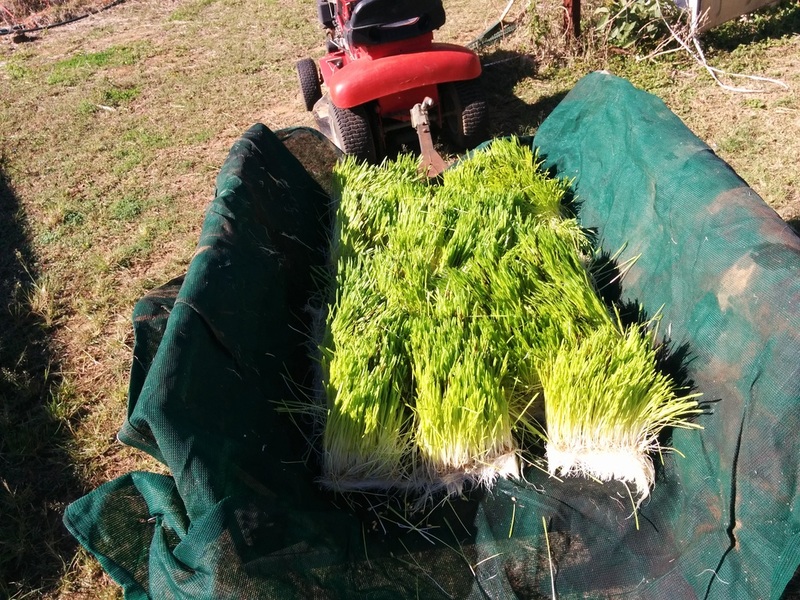 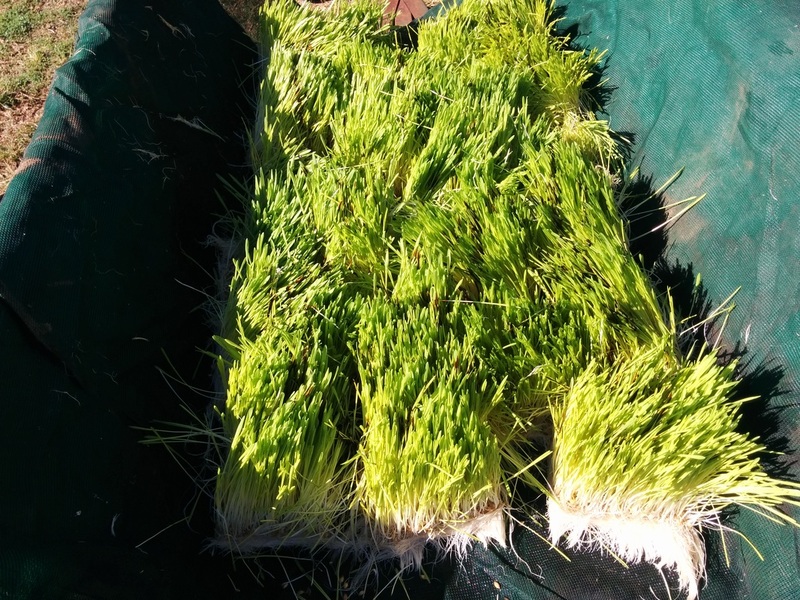 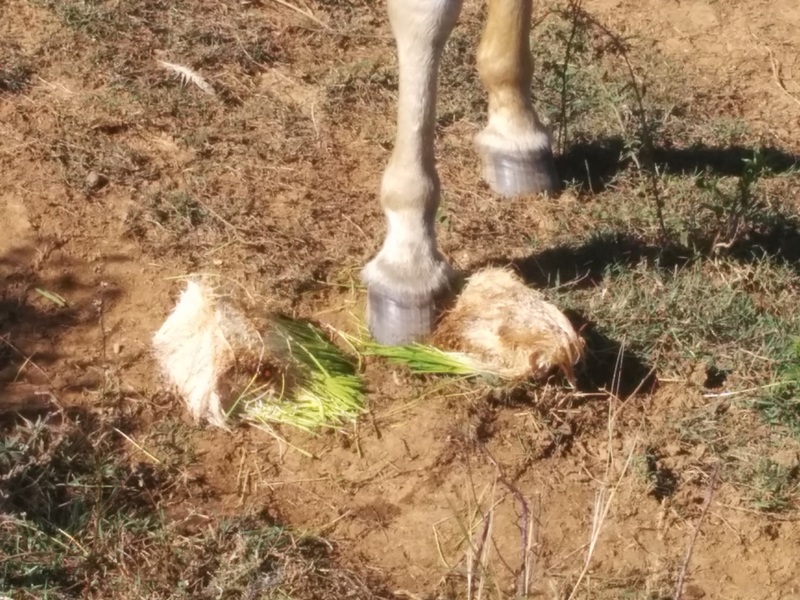 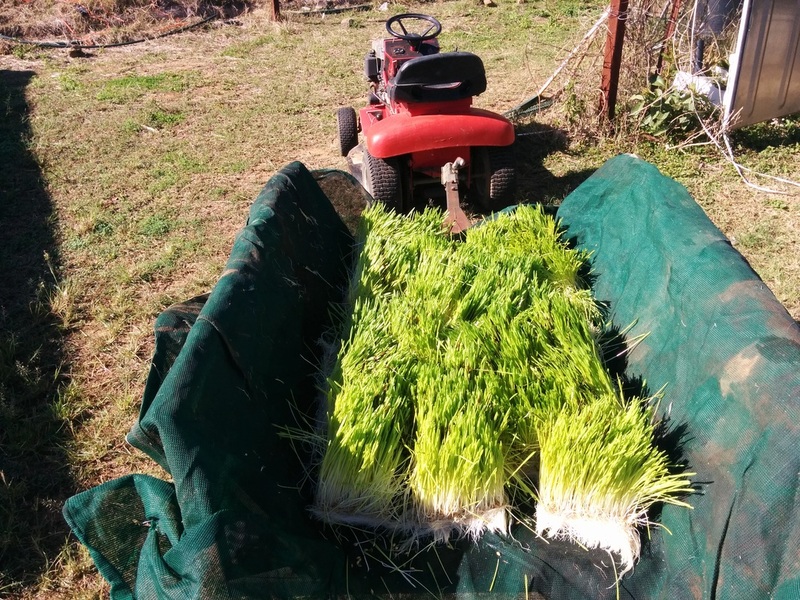 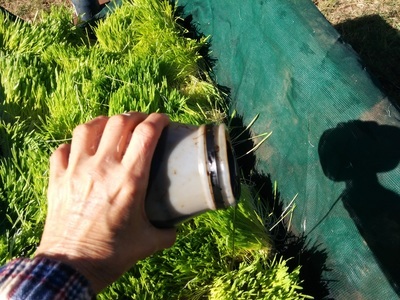 Fresh, nutritious fodder- barley sprouts (as shown in photos). Can produce up to 500kg per day. 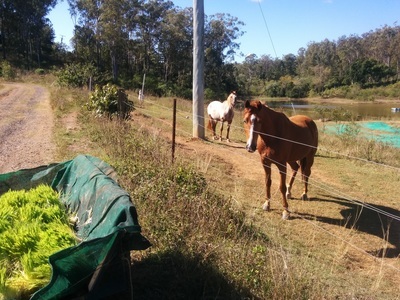 Grown on site in Bundaberg, Qld area. Pick up from location or check for delivery availability. 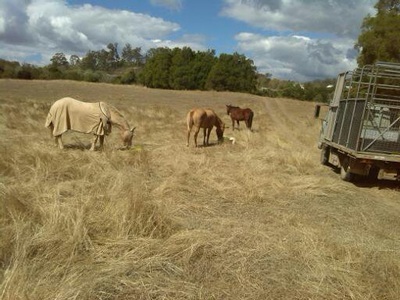 ​(Delivery to local racetrack considered if regular order). Our rescue horses are all fed with barley fodder. 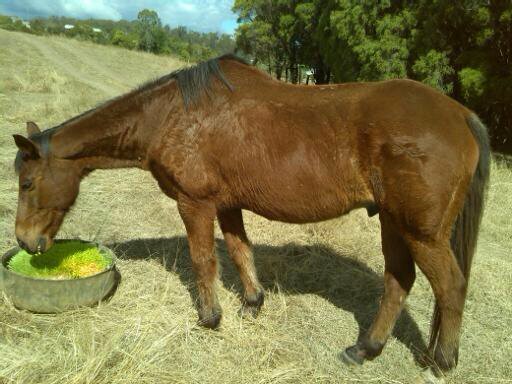 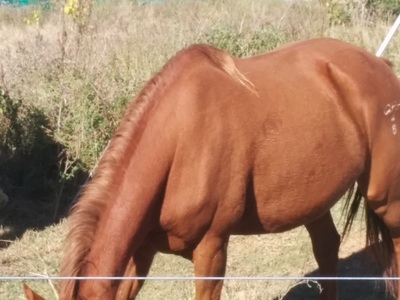 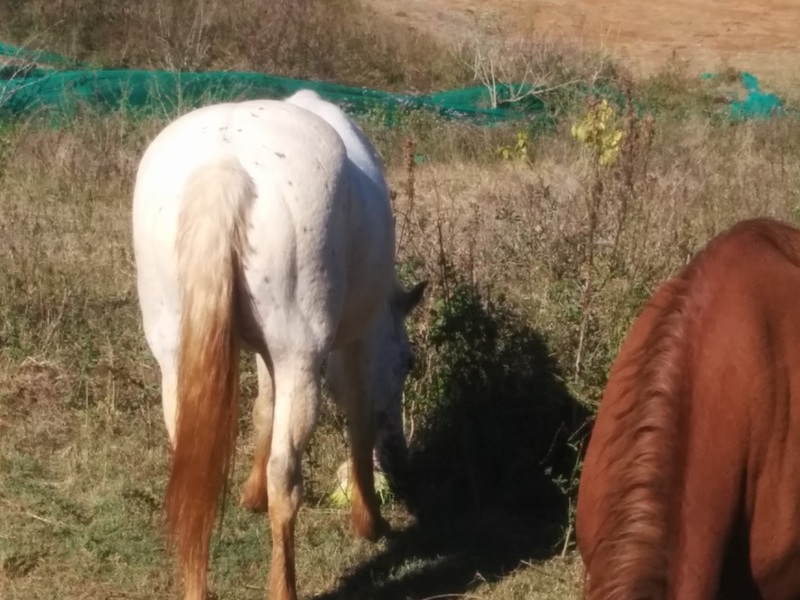 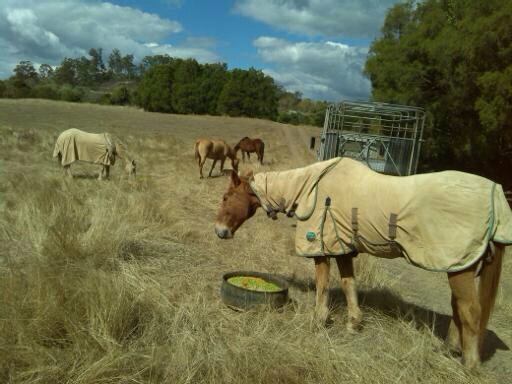 Here are some photos of our aged or injured horses that we have rescued. 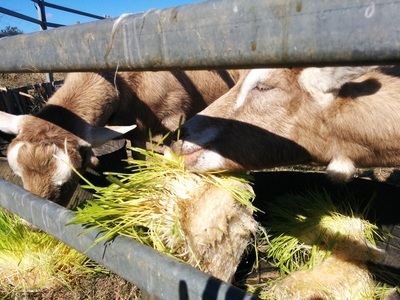 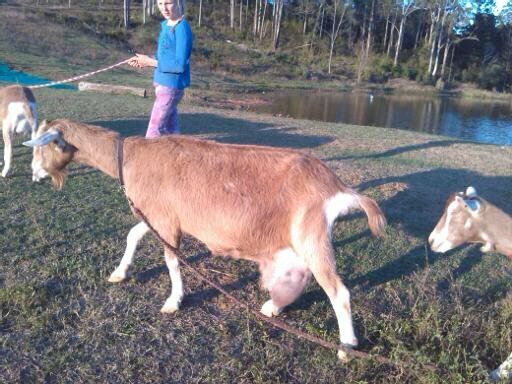 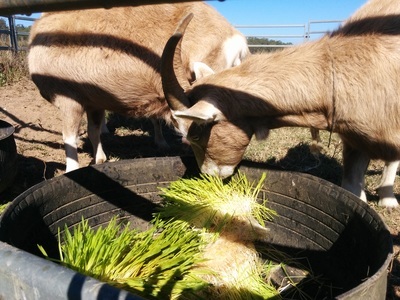 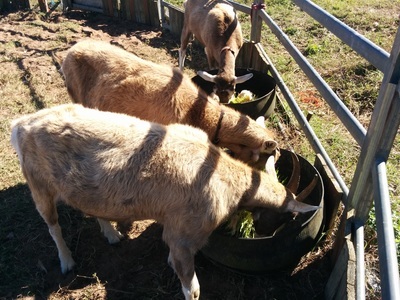 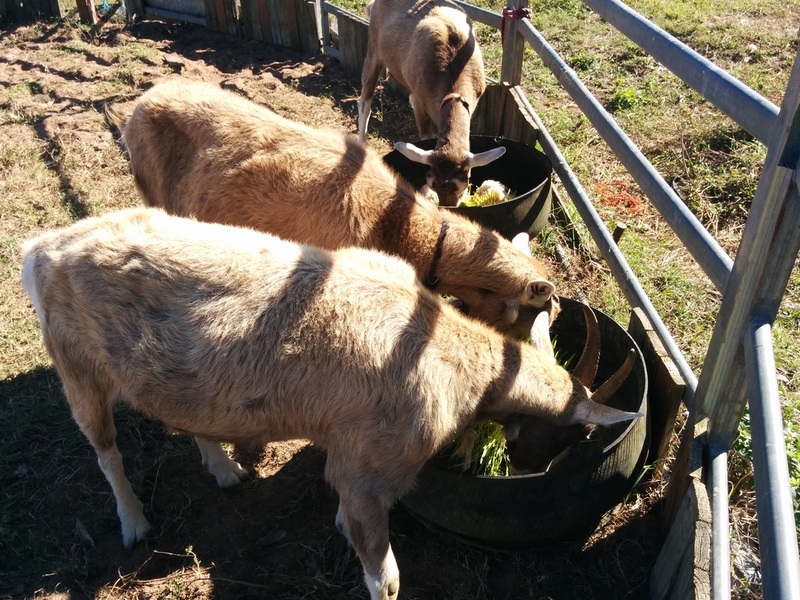 Our goats also love to eat fodder. 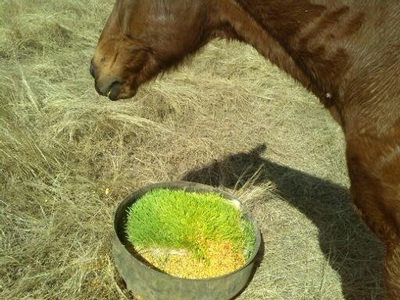 We introduce the fodder to horses with a smear of molasses (although not to laminitic prone or EMS horses). 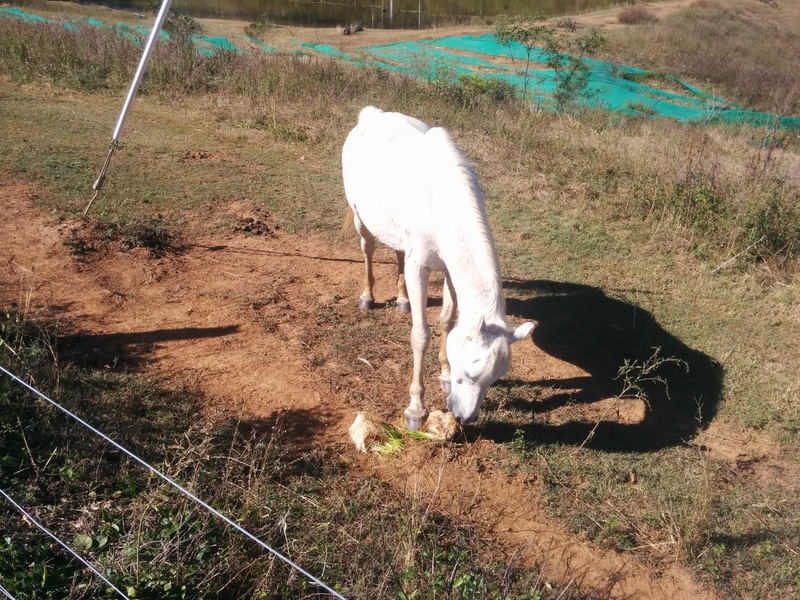 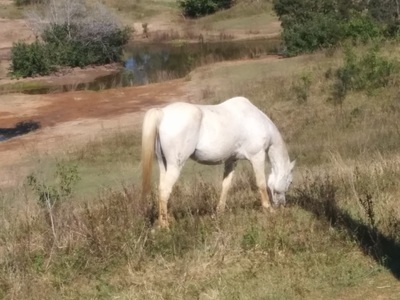 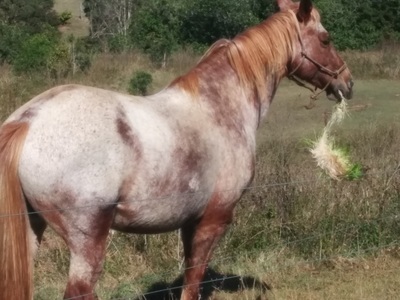 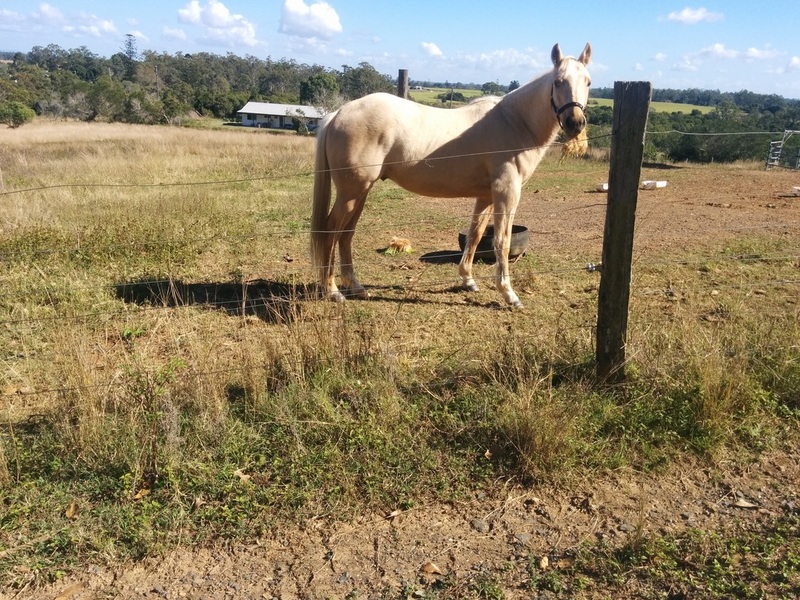 It doesn't take long before the horses develop a taste for the fodder and they will then eagerly eat the fodder without any molasses being added. The whole mat is eaten. 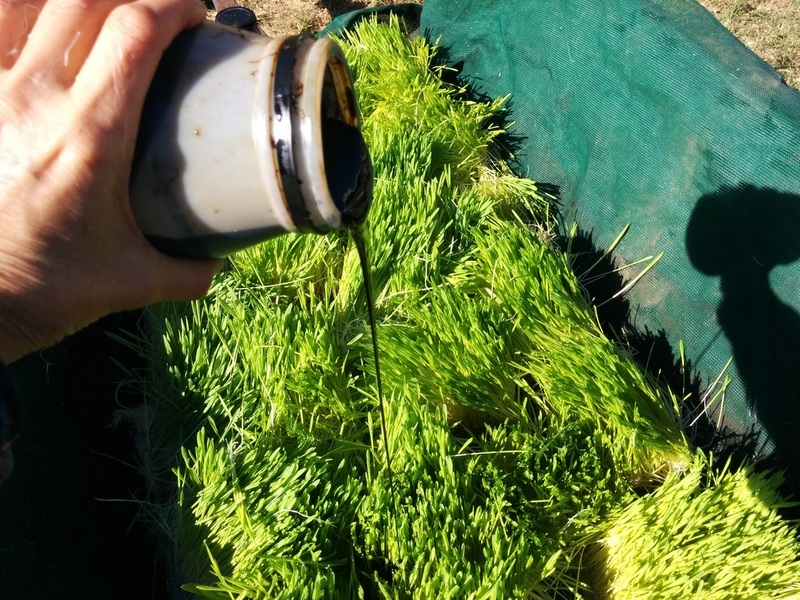 While the barley grass provides super nourishment, the mat is very high in protein and is also very important nutritionally. 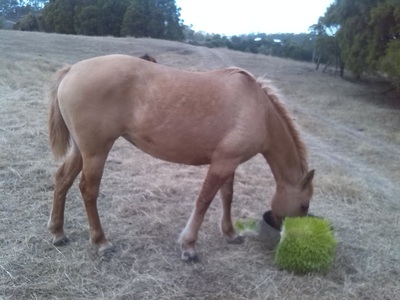 The photos show some of our rescue horses 2 winters ago in 2014 when they first began eating barley sprouts. 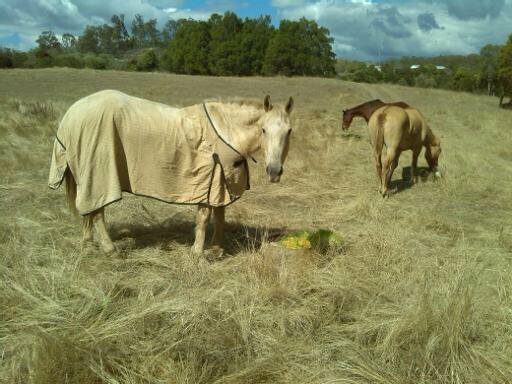 Three old horses could eat the sprouts even though their missing teeth would prevent them chewing hard feed. 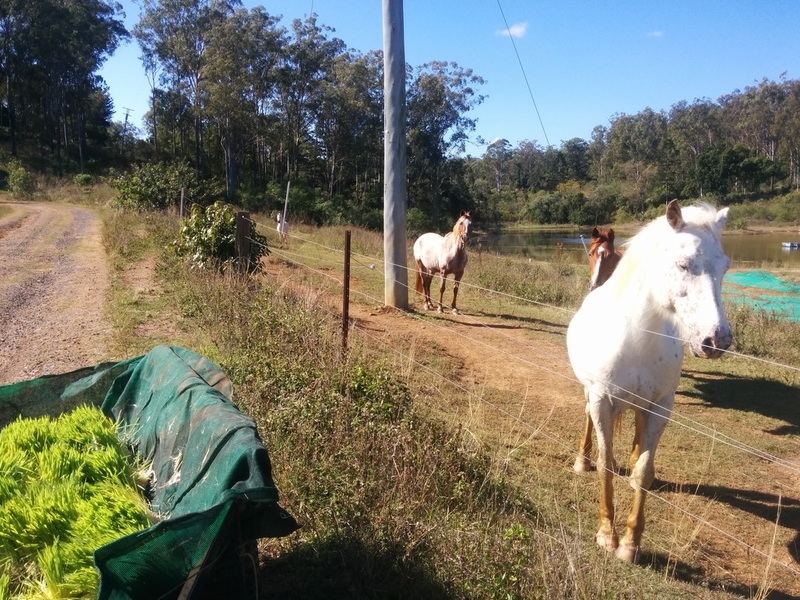 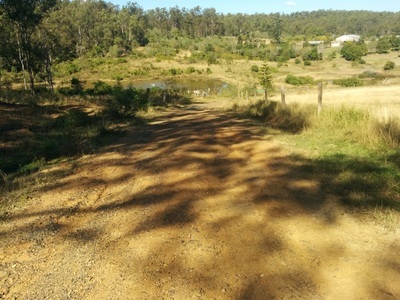 More recent photos show the scarce grass in the paddock on 1 July 2016 (winter), while the horses and goats are still in good condition due to eating the fodder. 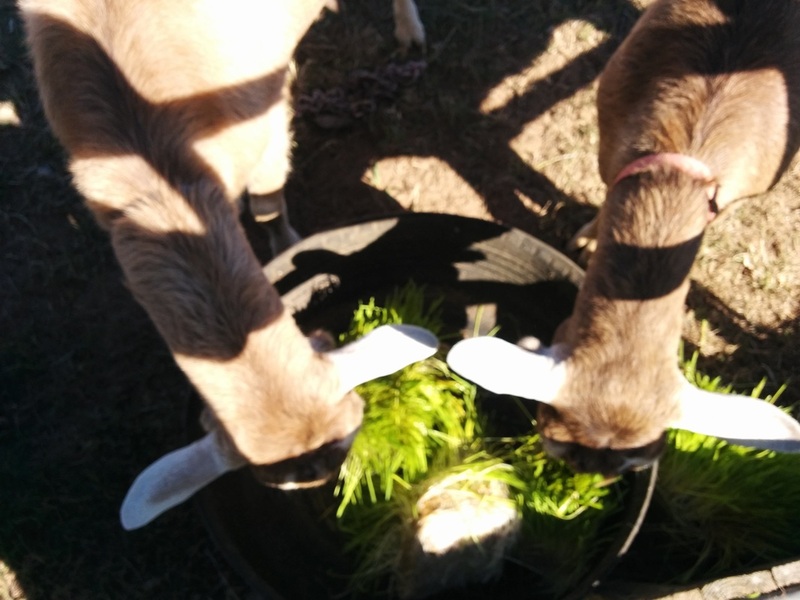 Two of our fodder eating purebred Toggenberg dairy goats kidded in 2014 and neither experienced any problems with delivery or producing milk for their kids. 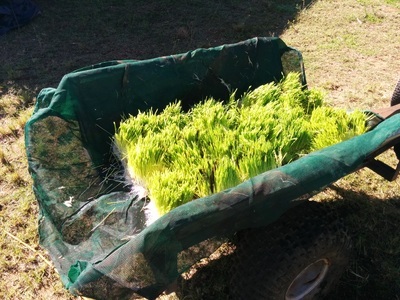 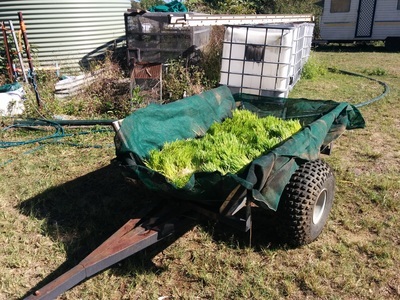 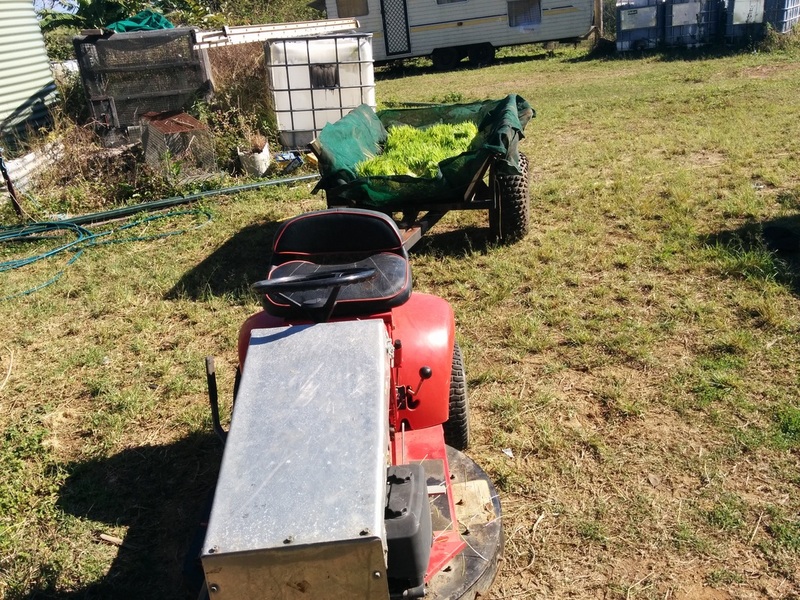 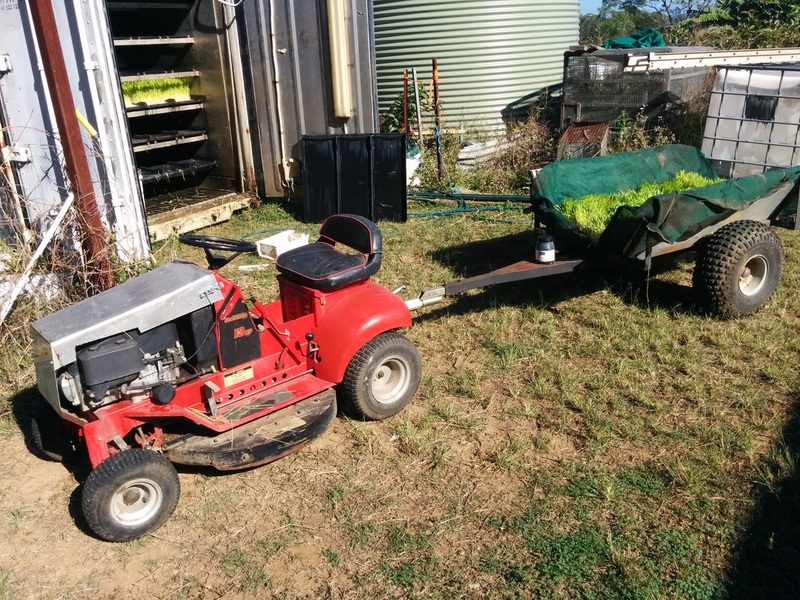 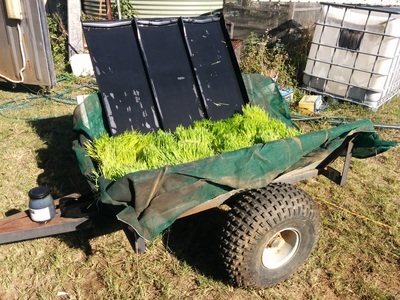 We use a ride-on mower and trailer to take the fodder to the horses and goats. 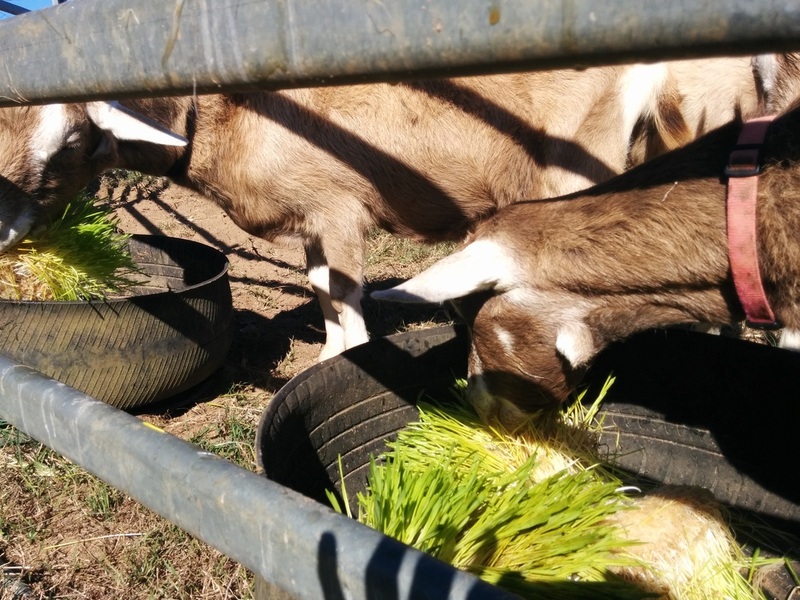 We are currently investigating methods of feeding the animals using a device that prevents the animals from tossing the fodder around as they try to eat the matts and pull out the grass. 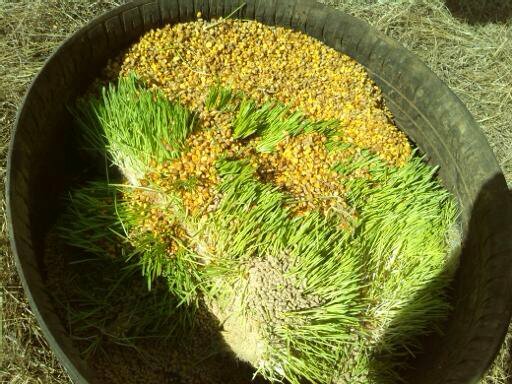 The fodder can be tossed into sand or dirt and we do not want to see sand colic. 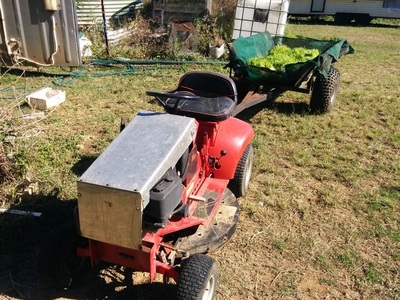 When we get the device working, we'll put photos here. 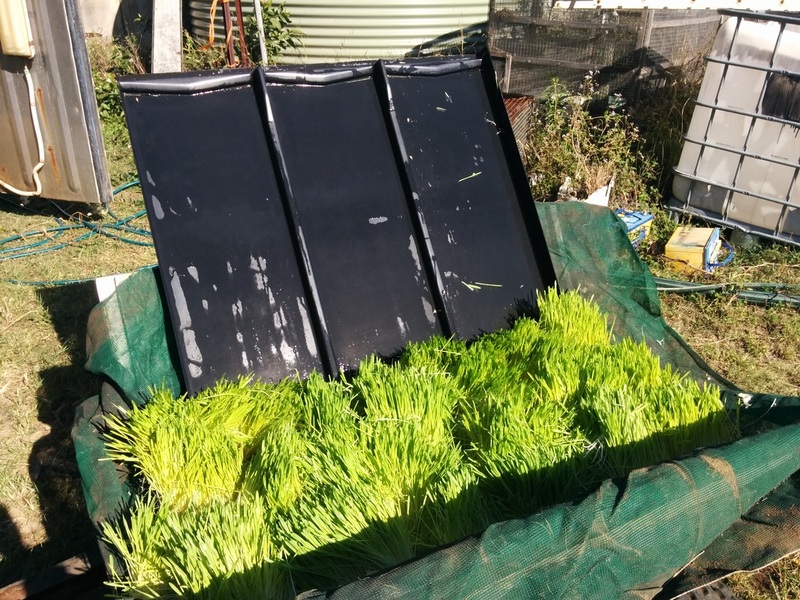 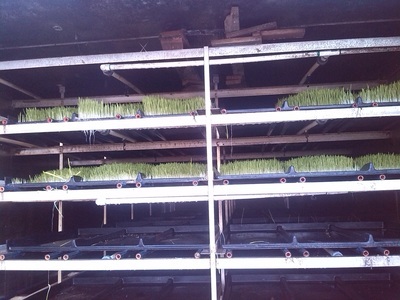 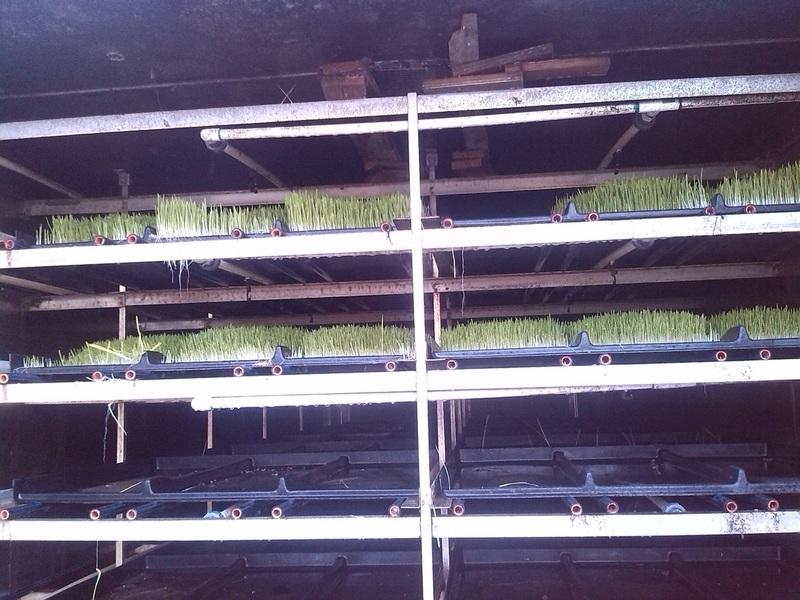 As can be seen in the photos, the black trays grow 3 biscuits of fodder. 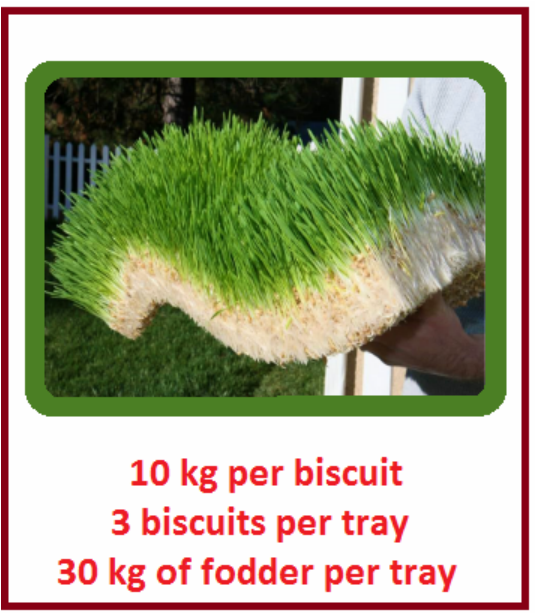 Each biscuit weighs 10 kg, so there is 30 kg of fodder per tray. 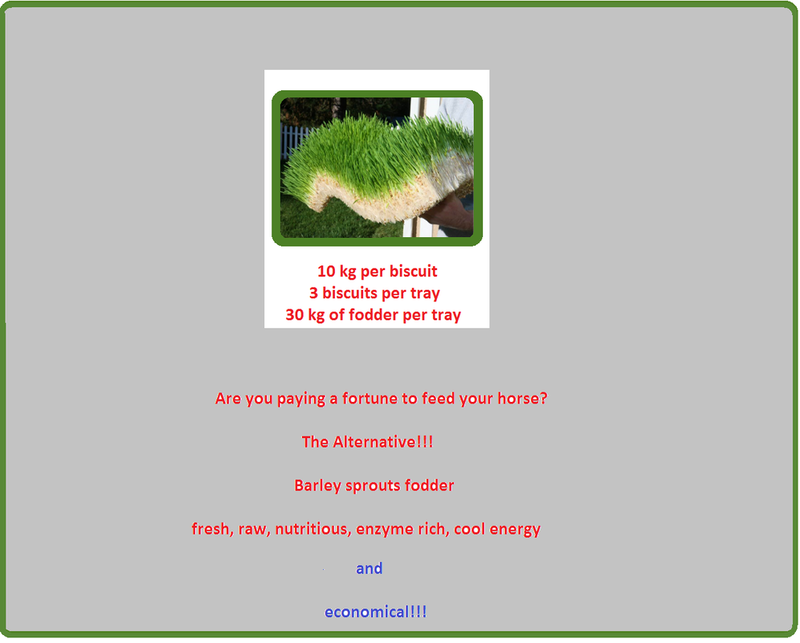 Cost of 30 kg of fodder is $30. 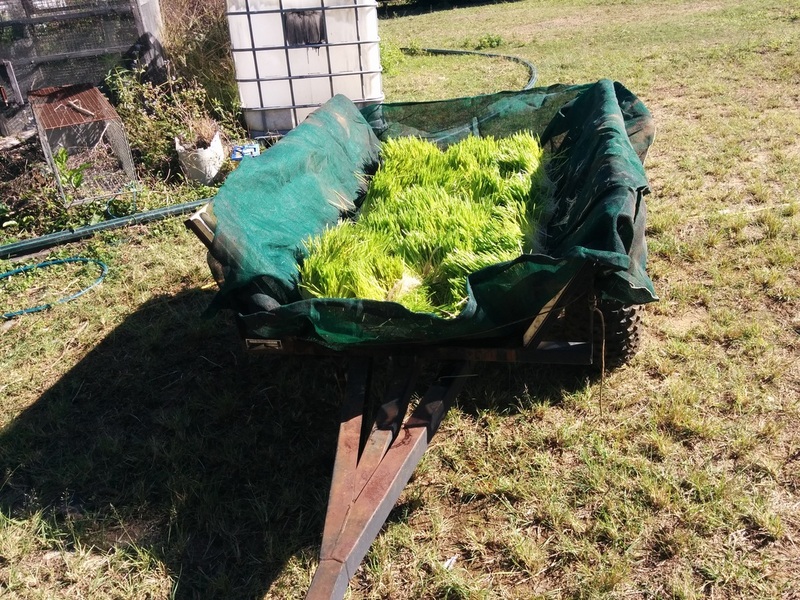 Our fodder is free from chemicals except chlorine is used to disinfect the trays and in the watering system at very low levels - just enough is added to keep mold away. 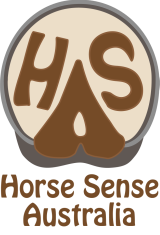 Chlorine evaporates very quickly, so we don't see any problems with using it as a disinfectant.